(NaturalNews) In furtherance of the medical monopoly that dominates western civilization today, the FDA issued warning letters to three companies over what they call fraudulent health claims regarding Ebola treatments. The warning letters, viewable here, single out the Natural Solutions Foundation (Rima Laibow) and two essential oil companies "Young Living" and "doTerra" whose distributors, the FDA says, were making claims that their oils could treat or prevent Ebola. The warning letters threaten all three companies with possible criminal prosecutions if they do not immediately answer the FDA and FTC with explanations of how they plan to halt the making of such claims. As of this writing, the e-commerce website of the Natural Solutions Foundation appears to have already removed any mention of Ebola. "An FDA agent showed up at my front door on September 23, 2014, to hand deliver [highly unusual!] a Warning Letter from that agency and the Federal Trade Commission (FTC) advising Natural Solutions that telling the truth about Ebola, Nano Silver and CBD is, according to those agencies, against their version of the law," wrote Ralph Fucetola in this rebuttal letter entitled "We will not be suppressed!" FDA and FTC are simply wrong about the law. And during the Ebola Epidemic their actions actively violate the July, 2014 World Health Organization (WHO) pronouncement that, during this crisis, offering even "unproven interventions" is ethical. What is not ethical is the position taken by the FDA and FTC. Because doTERRA products are natural products and are not registered with the FDA as drugs, we are restricted on the health claims that can be made for marketing purposes. We recognize essential oils have profound health benefits, but it is important we not make claims that would position our products as drugs. For example, recommending an essential oil to cure a particular disease would be considered a drug claim. doTERRA does not claim our products cure or treat the Ebola virus or any other disease. doTERRA works closely with you, our Wellness Advocates, to ensure marketing materials are compliant. Please understand the FDA is not suggesting doTERRA is making claims in our marketing materials or labeling. Rather, they are encouraging us to make Wellness Advocates aware they should not make drug claims when marketing doTERRA products. Fact #1) The FDA refuses to conduct any testing on natural or alternative therapies (such as colloidal silver) in order to find out whether they work or not. What if some of these alternative medicines actually do work, but the medical monopoly doesn't want us to find out? Where is the FDA's warning letter to the manufacturer of ZMapp? Oh, wait... instead of receiving a warning letter from the FDA, the ZMapp manufacturer received a $42 million grant from Health and Human Services. Fact #3) The FDA openly allows billions of dollars of pharmaceuticals to be prescribed each year for health conditions they were never approved for! This is called "off-label prescribing" and it's a huge part of the pharmaceutical industry's profit model. The way it works is that a drug company receives a limited FDA approval for the drug to treat a specific, limited health condition, then that drug company engages in widespread bribery and kickbacks to doctors to encourage them to prescribe the drug for all sorts of other conditions that have never been backed by clinical trials or scientific evidence of any kind. All the while, the company claims the drug is "FDA approved," but not for the health conditions for which it is commonly prescribed! In truth, many of the drugs U.S. consumers are prescribed for certain health conditions aren't backed by any evidence at all. The illusion of so-called "evidence-based medicine" across the pharmaceutical industry is truly an elaborate myth. The FDA doesn't even conduct any testing of pharmaceuticals at all and instead relies on drug companies to submit their own tests... which are often fabricated or falsified. Fact #4) The United States government claims patent ownership over Ebola and all its variants. The patent number is CA2741523A1 and you can view it here. The existence of this patent means that no company can even conduct scientific tests with Ebola viruses without running afoul of U.S. patent laws. Even worse, any company possessing Ebola would probably find its principals arrested and charged as terrorists under the U.S. Patriot Act which has specific provisions regarding "biological terrorism." This combination of "anti-terrorism" laws and U.S. patent laws creates an actual monopoly of research on Ebola treatments. Only the government itself can authorize such research, and it is of course entirely beholden to pharmaceutical interests. This is why all research funding for Ebola cures is strictly limited to vaccines and pharma drugs. No other alternatives are even tested or considered. Fact #5) The FDA has never shown that colloidal silver or natural cures don't work to help prevent Ebola. Granted, we can't expect the agency to run around testing everything in sight just to find out what doesn't work, but shouldn't a few of the more likely natural remedies be studied against Ebola in the interests of the public good? Despite all the talk by the FDA (and the mainstream media) about "bogus cures," the simple scientific truth is that such status has never been established. No government organization or medical group has ever tried colloidal silver against Ebola. So how, exactly, are they so sure it's a "bogus" cure? A more technically accurate term would be "unproven." And I agree that colloidal silver is indeed an "unproven" treatment vs. Ebola, as is everything else. Personally, I've never seen any convincing documentation that colloidal silver treats Ebola. But at the same time I've never seen any evidence that ZMapp treats Ebola, either... yet that drug was irrationally and enthusiastically heralded as a "miracle" treatment for Ebola even when it utterly lacked any evidence whatsoever of safety or efficacy. When it comes to global pandemics, science be damned! All the institutions that control the conversation -- the FDA, CDC and national press -- automatically ASSUME that drugs will work and natural substances won't. This assumption is invoked by default, almost as a Pavlovian response among drug regulators, without a single shred of evidence to support it. That's not science; it's dogma (with a special emphasis on the drooling dog, of course). Here at Natural News, I've consistently repeated that NOTHING has yet been proven to treat, prevent or cure Ebola. Thus, all medicines -- natural, conventional or otherwise -- are "experimental and unproven" by definition. And yet, amazingly, any experimental and unproven medicines produced by drug companies automatically enjoy the faith-based default belief that they are safe and effective while any experimental and unproven medicines synthesized by Mother Nature are assumed to be dangerous and useless. It is my belief that these assumptions are upside-down. Plant-based medicines have been effectively used for thousands of years to fight plagues in regions like ancient China, for example. There is already a track record of plant-based medicine being used throughout human history to halt the spread of disease. The fact that the FDA refuses to acknowledge the existence of that historical record does not make it disappear from human civilization. And while we should never leap to the conclusion that such plants are useful for modern-day Ebola, shouldn't we at least TEST them and find out for sure? There is one natural cure for Ebola that has already been proven to work about 50% of the time. It's called the human immune system. Every person who has survived Ebola so far has been saved by it. It is, by definition, a legitimate "cure" for Ebola. Big Pharma and the FDA won't tell you this for the simple reason that they can't sell you your own immune system. You already got it for free. Will the FDA now send warning letters to Ebola survivors, threatening them with criminal arrest if they don't stop "treating" themselves with their own immune systems? The astonishing power of the immune system to saves lives is exactly why I've openly called for doctors, hospitals and institutions of medicine to find ways to support that miraculous immune system. If the immune system already has the potential to save about 50% of those infected, what might happen if we find simple, low-cost ways to enhance the human immune system? Could immune support protocols boost Ebola survival rates to 60, 70 or even 90 percent? The truth is we'll never know under the current medical cartel. And we won't know because such research is effectively banned and oppressed by the scientific dictatorship that runs our western medical system which is itself steeped in felony crimes, human medical experimentation and research fraud. How many people must die while western medicine suppresses research into natural remedies? If this Ebola outbreak continues to explode as is now predicted by the CDC, there's no telling how many hundreds of thousands of lives may be unnecessarily lost due to the monopolistic, knowledge-suppressing activities of the medical cartel. In the quest to protect the profits of the vaccine makers, government regulators seem happy to stand by and watch countless victims die even when effective natural remedies may exist right this very minute and be readily available. In a world dominated by western imperialist medicine and corporate interests, there is no limit to the number of human victims who will be sacrificed to protect profits. And that's the saddest part of this entire story. The serious fraud isn't coming from people like Rima Laibow who talked up colloidal silver as an Ebola remedy; the real fraud is coming from the medical cartel which actively censors any and all scientific research into natural remedies which could one day save millions of lives in a true "global killer" pandemic outbreak. Until we stop allowing so-called "science" to be unduly influenced by corporate interests, we'll never know what the best cures for Ebola might be. Perhaps the best cure is found in some tree-bound fungi growing in the rainforest. Perhaps it's a chemical compound found in a rare sea sponge. Or heck, maybe it's a nutrient growing in dandelion roots in your own back yard. The truth is we'll never know because the system of imperialist western medicine absolutely refuses to let anyone even ask the question (or conduct the research). The mere discussion of such medical alternatives is practically a crime in America today. I happen to believe that if we are going to solve the Ebola pandemic problem, we need to work together as a world community, exploring all the available knowledge of every system of medicine known to humankind. Western medicine may have a valuable role to play, but it surely isn't the only medicine available today. All across our planet, other systems of medicine are valuable, safe, effective and readily available. 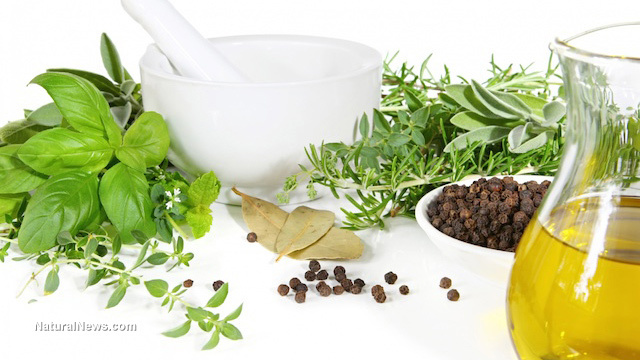 These include Amazon rainforest medicine, Australian Aborigine medicine, Tibetan medicine, Traditional Chinese Medicine, Ayurvedic medicine, Western herbal medicine, homeopathic medicine and many more. To pretend that one and only one system of medicine has anything to offer is foolish beyond description. If we hope to survive this outbreak, we must set aside our monopolistic profit motives and test ALL kinds of medicines that are available everywhere around the world. After all, if the science of randomized, double-blind, placebo-controlled studies is truly scientific, then isn't it scientific enough to also test the efficacy of herbal medicines? Chinese medicines? Homeopathic medicines? Why not conduct the science and let the answers speak for themselves? Why can't our government fund scientific research into non-patented, everyday remedies that are affordable for the citizens of developing nations? Only then can we know we've exhausted the search for cures, treatments or prevention medicines. If western medicine comes out on top after that exhaustive search, then it will have earned that position. But if western medicine is simply declared superior while all other medicines are maliciously excluded by a monopolistic medical regime, then we can only assume we're witnessing the actions of a sham system of dishonest medicine that profits from the suppression of knowledge rather than its discovery.